Much like the wineries we work with, we are a family business. In 2009 our founder Tammy Boatright started VingDirect with the belief that if we could help family wineries grow their direct to consumer sales, the bottom line of their business would improve. To this day, we still believe that can be the difference between success and failure for a family winery. We want our winery members and clients to have an option about whether they pass their business on to their family, or whether they sell their business and are able to capitalize on their passion. Options can be scarce without a direct to consumer program! We have a Performance Tracker for our members that we use to create a benchmark. We are able to accurately track our member's tasting room metrics without assumptions. We say accurately, because if you are not defining and measuring your metrics in the same way, you do not have accurate information to compare. Our members all measure and define in the same way. We are able to monitor our member's daily tasting room sales, taster count, sales per taster, new wine club member sign-ups, and wine club conversion (see definitions below.) Our Benchmarking Tracker allows our winery members to learn how they're doing in relation to their peers in the industry. This is where our data for these reports comes from. Through findings from our Performance Tracker and Benchmarking Tracker tools, we see 2018 trends that worked (and didn't work.) What's unique about us and our study is that we know the winery story behind the data, so we are able to recommend best practices, tips, and tactics. Taster count normally influences the results of a winery more than anything else. Typically, the more tasters you see in the tasting room, the harder it is to convert, the harder it is to sell per taster. Historically we've seen that club conversion and sales per taster goes down as taster count increases. 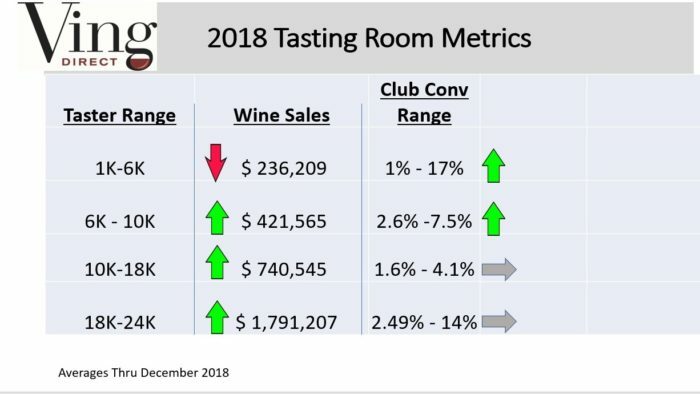 What we see for 2018 is that sales per taster did overall go down, but whereas in the past wclub conversion would normally have gone down too, it remained flat in 2018, which is good. 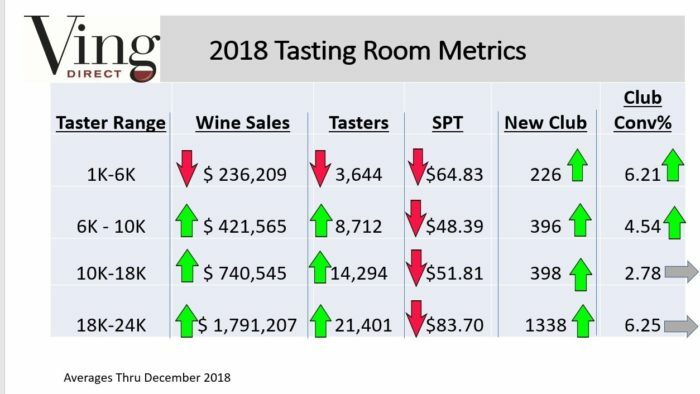 Wineries in the smallest category between 1-6K tasters performed the worst this year, though they did see the increase in club sign-ups because their club conversion went up. Though tasters were down in this category, they did a better job of converting the guests they did have. When a winery sees a decline in tasters in that range, they can usually make up for it because they have an opportunity to develop a relationship with a guest and up the conversion percentage. It is important to keep in mind that the majority of our winery members in this category are in California. It really illustrates how region can influence results. Why was it so tough in CA last year? The maturity of the region is tougher, as wineries there are competing more heavily than ever before for tasters. Did the fires impact tasters? Yes, they did influence tasters, however this trend of declining tasters had already begun. It's a trend we've been seeing for the past 2-4 years. 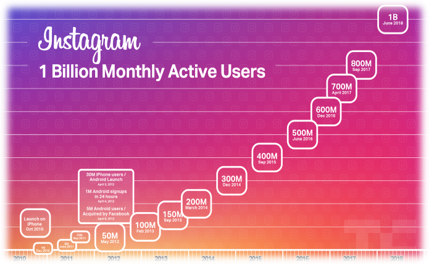 It's a trend that we see in any mature market in any industry. For the rest of the of the wineries, it was a pretty exciting year! We saw sales were up, tasters were up, and club members were up. Want to view the webinar? Email Susie today for the link! Want to talk through your DTC plan for 2019? Click here to schedule a free 30 minute consulting call!